Now, with $26,000 instant equity! Spectacular, lavish, one-of-a-kind! Imagine a place in St. Louis that teleports you to fashion-forward Paris, classy London, or party-central Barcelona, all within your own home! Overlooking The Arch, quiet, gentle light embracing your living space, 5 min. from work and just steps away from the entertainment in CWE. All within a beautiful community that feels more like family than a building. Welcome to The Maison Lofts' penthouse, rarely selling because once you step in, you fall in love and don't want to let go. 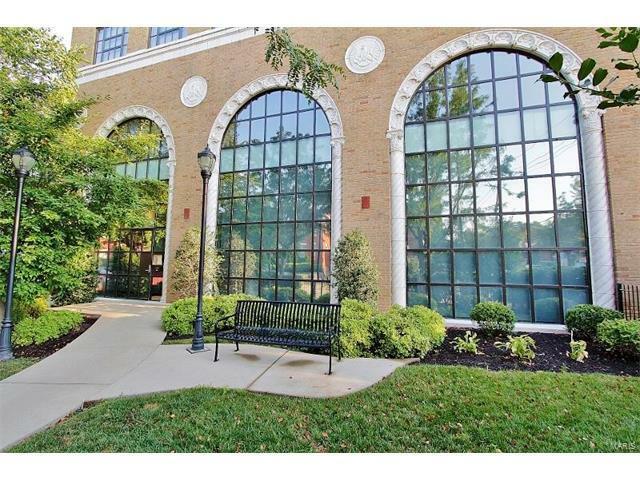 The epitome of elegance and best penthouse deal in St. Louis! This gorgeous 2600 sq.ft., 2-3BR-2BA, condo w/ 9’ ceilings can accommodate the most discerning tastes. Enjoy a loft-style open FLPL with gourmet kitchen, granite, Bosch/Amana appl., luxurious MBR suite w/ a SPA-like Travertine BA, tons of closets, updated SYS, in-unit laundry & garage. Walk or bike to The Cortex Complex, IKEA, BJC & Children’s hospitals, WashU, SLU, & Forest Park. I-64 to Kingshighway north, to Washington east (right) to condo building on the left hand side before you reach Euclid, on the east side of the Mahler Ballroom.